H 11:00 – Everyone on board! 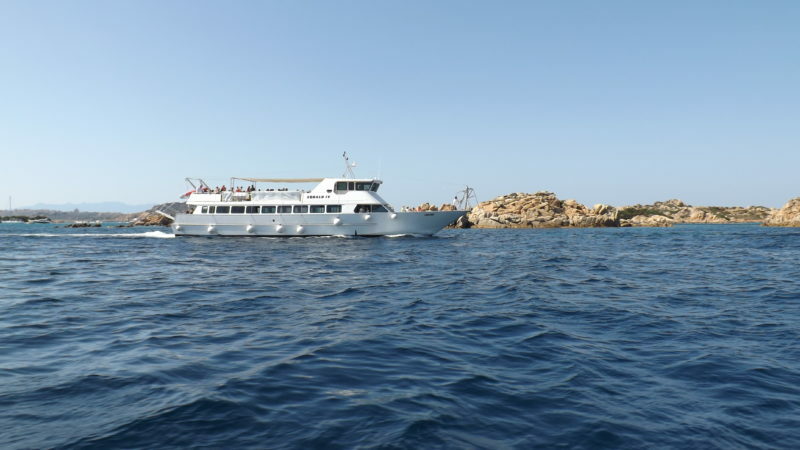 The daily departure is fixed by the Marina of Palau, quee n. 7, h. 11.00 A.M.. From here we will leave to La Maddalena for a 15 minutes stop, at the Medaglie d’Oro quee in Via Amendola. At the end of the boarding operation we will leave towards Spargi island. Passengers are advised to show up at the gate 30 minutes early so as avoid queues and facilitate ticketing operations. The first stop of our cruise is Cala Granara beach, in Spargi island. The beach is located on the southern coast of Spargi island and can only be reached from the sea. It is made up of four small beaches adorned to the east by small dunes on which rare and endemic plants gain space. On the western side stands a rock with a particular shape that takes the name of Testa della Strega. The stop lasts about 2h 30m and you will have the opportunity to bathe in its crystal clear waters and enjoy uncontaminated natural landscapes. At 1:00 pm lunch will be served on board. At 2.30 pm we set off again towards the northern side of the Archipelago! At 15.00 we will arrive at the Cavalieri beach, on the island of Budelli. 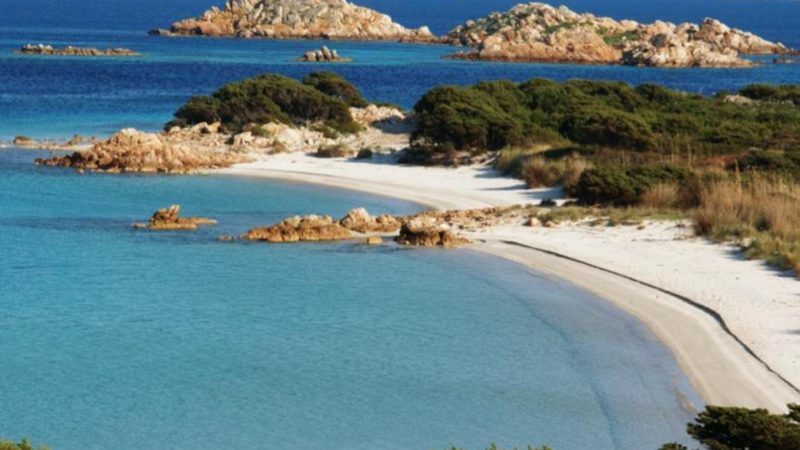 This beach is located in the northern part of the island of Budelli, inside the Porto Madonna (a real natural pool) and is characterized by a thin white sand facing a clear sea. Its cristalline waters make it one of the favorite destinations for tourists. From the Cavalieri, through a short path, it is possible to reach and visit the Pink Beach, paying attention to the strict rules of enviromental protection. 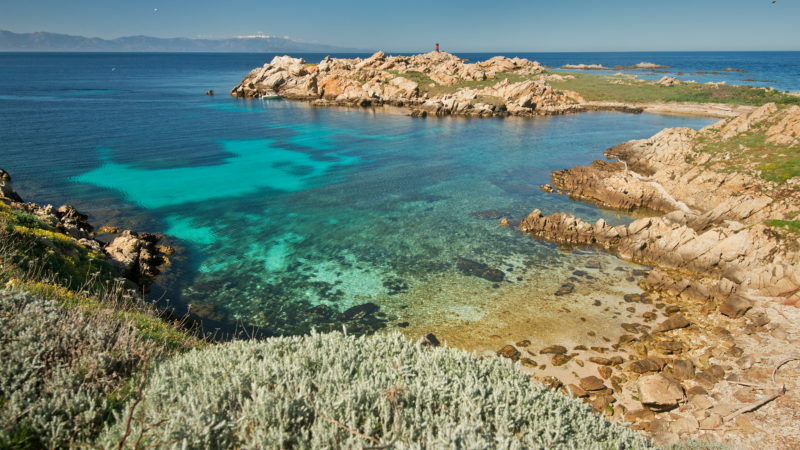 While sailing to Caprera Island, passengers will be able to take a photographic visit to the Paduleddi islets, at the pass of the Topo, at Punta Presa Cavalli, Cala Santa Maria, Barrettini and Corcelli. The latter is a small island on the east of Santa Maria and houses a small black light that stands on the highest part. Along its coast there is a single beach, Cala Ponente, a lovely sandy beach with medium and light colored grains, surrounded by the Mediterranean scrub and the beautiful clear granite rocks. The last stop takes you to one of the most beautiful bays of the archipelago. Located on the northern part of the eastern side of Caprera, accessible by boat or on foot, through a long pat. Its location, close to the heights and stuck between steep cliffs, forms an evocative setting and makes it one of the beaches better sheltered from the west winds. Here the passengers can swim in the blue-green sea of ​​the bay in the company of the numerous fish that populate the waters. The return time is scheduled at 18.30, with some minor slippage that may be dictated by sea conditions and cruising speed. 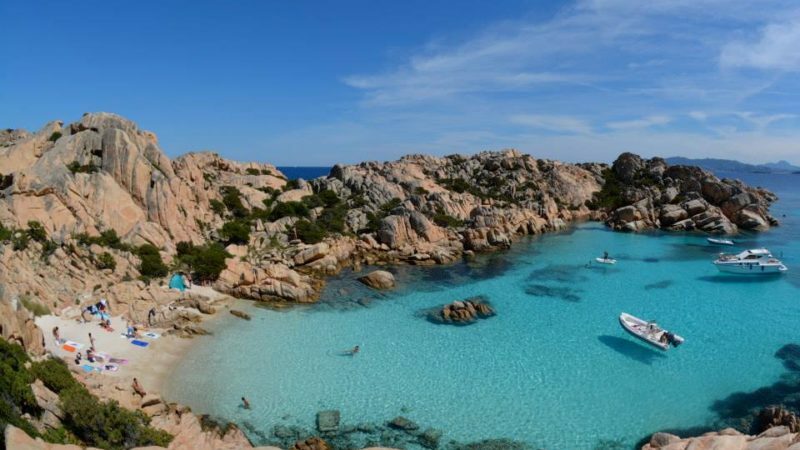 The first disembark will be in Palau and the second one, after 15 minutes, in La Maddalena. All passengers are advised not to forget their personal effects on board and to follow the instructions of the crew in the landing operations.